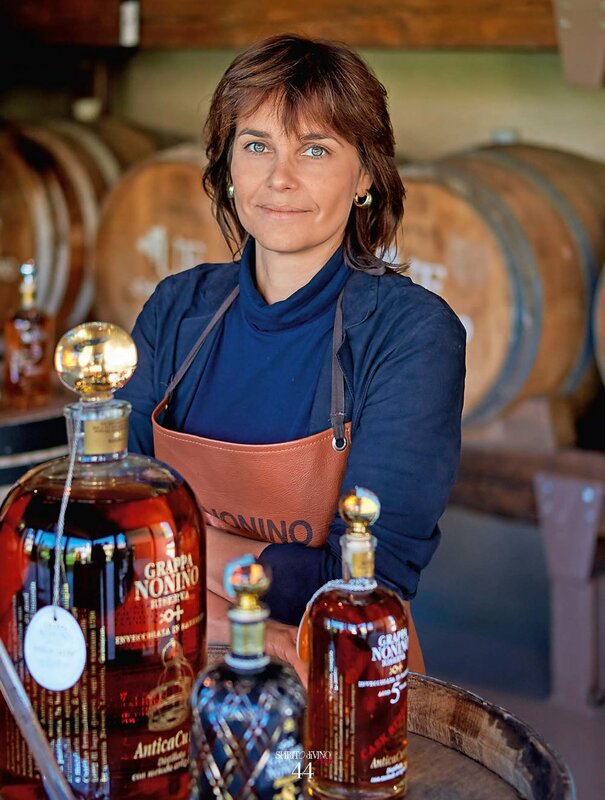 In fact, the Noninos have not only changed the lives of countless people, they have also transformed an entire industry; they have had an impact beyond Grappa, and continue to this day to be a role model to follow. In this age of the fleetingness of digital media and the obsession with what comes next, it is easy to forget what has come before. Today, we take premium grappa for granted. But it was not always so. Before the 1970s, Grappa as a spirit was considered the lowest of the low, in terms of not only quality but also prestige. The average selling price was 2,220 Italian Lire (roughly USD 1.30) per 75cl bottle and multiple attempts in the previous decade to increase prices had failed miserably. Grappa had a very bad reputation and was a poor man’s drink. Another thing we must remember is that, in the early 70s, the Slow Food Movement was 15 years away and artisanal family firms were considered primitive with a low status. In those days, industrialization was the way of the future. 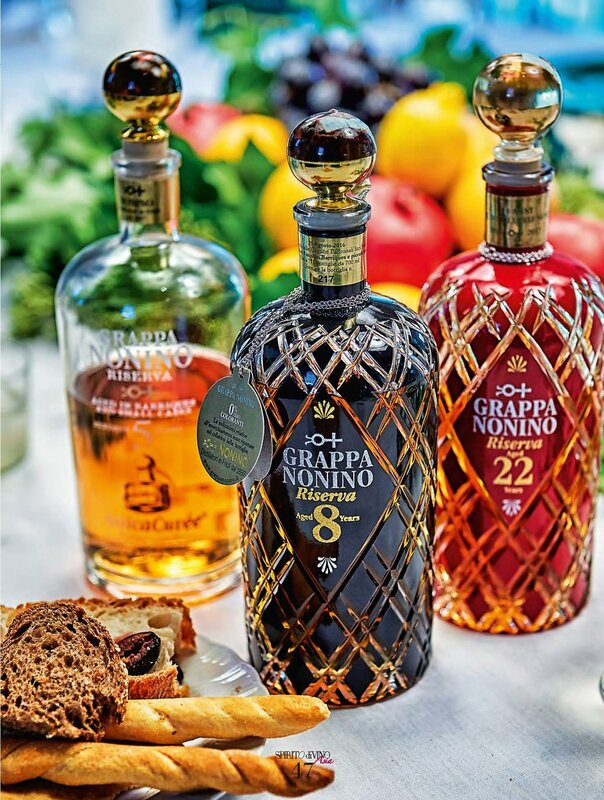 Since that time, the Noninos have not only reinvented the grappa category but made it into a symbol of the Italian art of living all around the world. They have done this by staying true to their family traditions and artisanal production methods, never being persuaded to adopt industrial processes. From a rough spirit that ‘puts fire in the belly’, they raised it to a work of art, today enjoyed within the most cultured of societies, gracing the most beautiful of tables, and appreciated by the most discerning of connoisseurs. 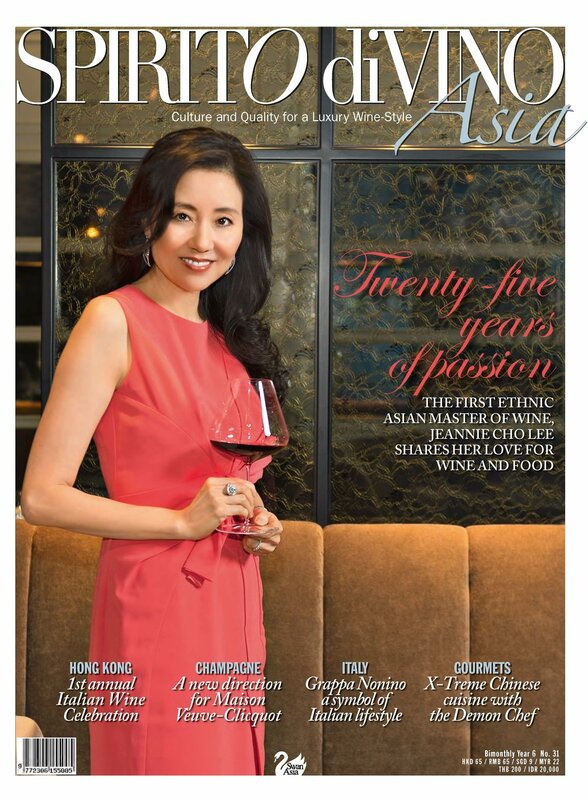 They did it with a philosophy akin to the production of fine wines made with artisanal methods, and placed their focus on the quality and origin of their raw material, something that we tend to take for granted today. Theirs was not an overnight success. In fact, their story resembles more a series of battles interspersed with flashes of genius than a smooth climb to the top. The first time the Noninos broke convention was when Orazio, six generation ago in 1897, established his own distillery This was an innovation at the time, as it had been his practice to go from door to door with a still mounted on wheels. Until the early 1970s, the normal practice for grappa production was to collect the skins of the grapes from wine producers, store them in silos and generically distill them when needed. But Giannola Nonino was not satisfied with the way things were done. At the time, she was greatly impressed with Italy’s most celebrated gastronome Luigi Veronelli, who not only praised the work of artisans, a lone voice among critics at the time, but also advocated the concept of individuality in contrast to standardized production. She convinced her husband, in charge of the technical aspect of their family firm, to make a separate production and distill the skin of a single grape variety. 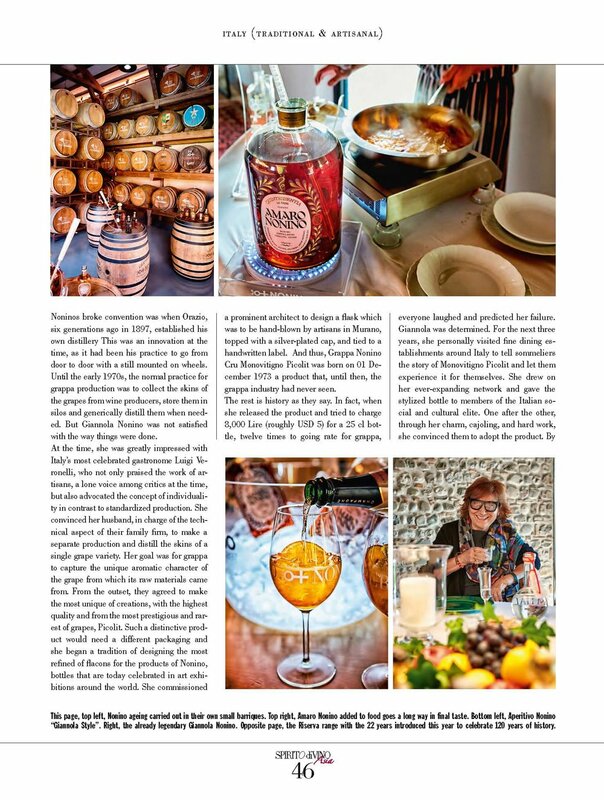 Her goal was for grappa to capture the unique aromatic character of the grape from which its raw materials came from. From the outset, they agreed to make the most unique of creations, with the highest quality and from the most prestigious and rarest of grapes, the Picolit. Such a distinctive product would need a different packaging and she began a tradition of designing the most refined of flacons for the products of Nonino, bottles that are today celebrated in art exhibitions around the world. She commissioned a prominent architect to design a flask which was to be hand-blown by artisans in Murano, topped with a silver-plated cap, and tied to a handwritten label. And thus, was born grappa Nonino Cru Monovitigno Picolit on 01 December 1973 a product that, until then, the grappa industry had never seen. The rest is history as they say. In fact, when she released the product and tried to charge 8,000 Lire (roughly USD 5) for a 25 cl bottle, twelve times to going rate for grappa, everyone laughed and predicted her failure. Giannola was determined. 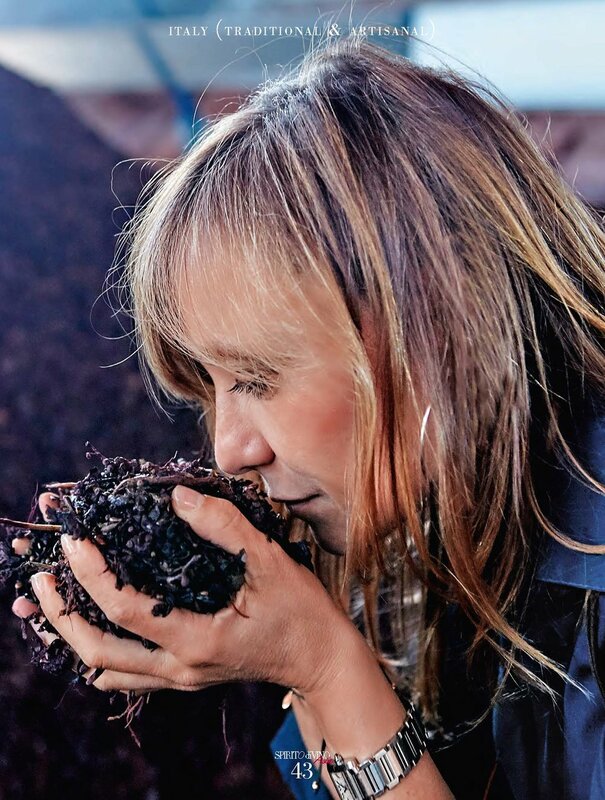 For the next three years, she personally visited fine dining establishments around Italy to tell sommeliers the story of Monovitigno Picolit and let them experience it for themselves. She drew on her ever-expanding network and gave the stylized bottle to members of the Italian social and cultural elite. One after the other, through her charm, cajoling, and hard work, she convinced them to adopt the product. By 1978, their Monovitigno Picolit was selling for 26,000 Lire (roughly USD 15), twenty-five times the price other existing offerings, and Benito could not produce enough of it. Since the resounding success of the now legendary Nonino Monovitigno Picolit, the entire grappa industry has benefited from a reputational change. 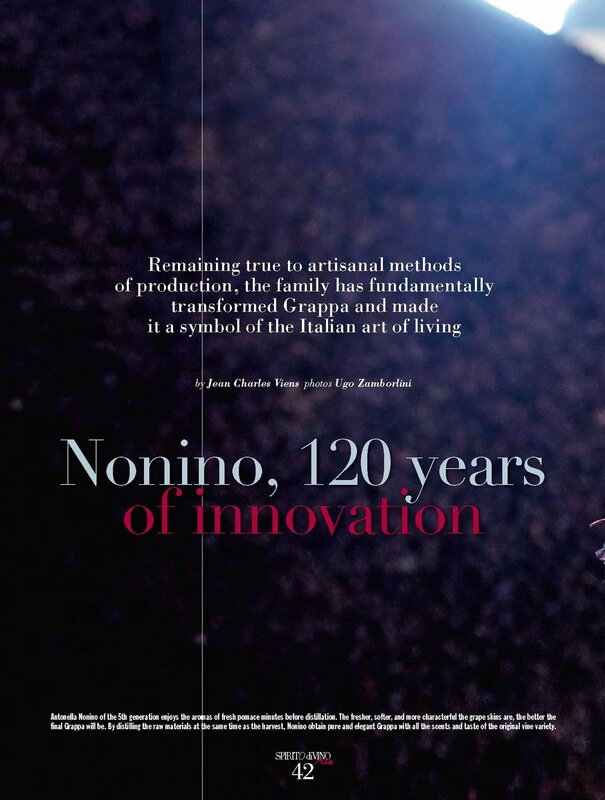 But, more than that, the Noninos have singlehandedly converted grappa into a symbol of the Italian lifestyle. Giannoloa Nonino’s efforts go well beyond promoting grappa. With her husband Benito, she instituted the Nonino Prize with the aim of stimulating, awarding, and having officially recognized the ancient autochtonous Friulian vines resulting in the obtention of the Ministerial Authorization to replant Schiopettino, Pignolo, and Tazzelenghe which joined Ribolla Gialla. Paolo Rapuzzi of Ronchi di Cialla famously won the first Nonino Prize for his saving Schioppettino by hunting feral vines in the hills along the Friuli-Slovenia border. As they continue innovating and valorizing traditional and artisanal production methods, their daughters Christina, Antonella, and Elisabetta have joined the family company and are today firmly involved in all its aspects. And nowadays, Francesca, Cristina's daughter, represents the sixth generation in the family tradition. From marketing to distillation, from raw material purchase to selling their grappa abroad, they apply the same energy and obsessive focus on quality that has been a hallmark of Giannola and Benito Nonino. Using only soft, fresh and carefully selected pomaces and fruits, distillation is carried out in 73 copper steam batch stills that have been carefully modified over the years by Benito’s constant innovation and research. Working 24 hours nonstop, they distill only during the harvest season to avoid the formation of methyl alcohol. Their focus is on purity and freshness for maximum expression of the grape variety from which the raw materials come from. The “Riserva” range is matured in wood and bottled without color additives. Only using 2015 small barrels and small casks, aging takes place in cellars under seal and permanent surveillance by the customs and monopoly agency. Their resulting color and characteristic aromas stem solely from natural maturation under controlled oxidation. The results are extraordinary! 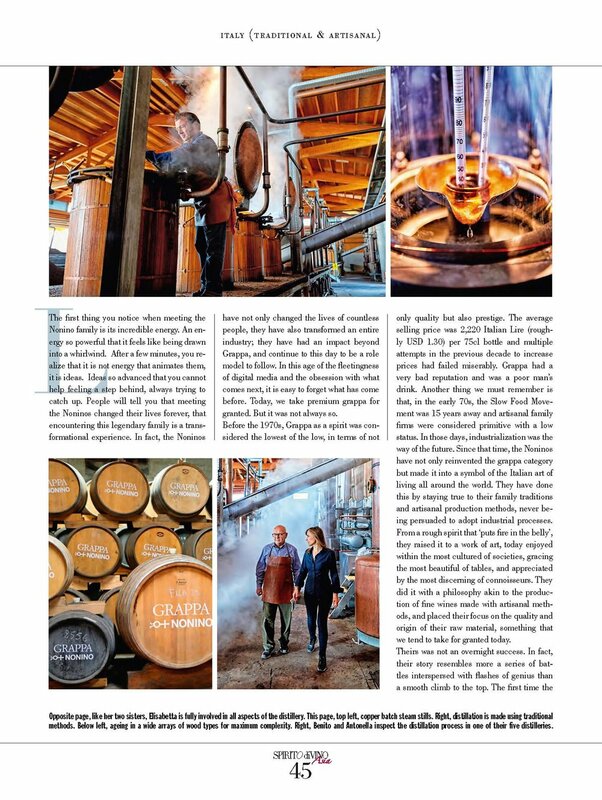 Despite becoming one of the largest producers of grappa today, the Noninos have not lost their identity as an artisanal distiller and family business. Their sophisticated packaging may give the impression of a company driven by marketing, but they are resolutely focused on quality. In the words of Antonella Nonino: “our mission is to make the best grappa in the world!”.